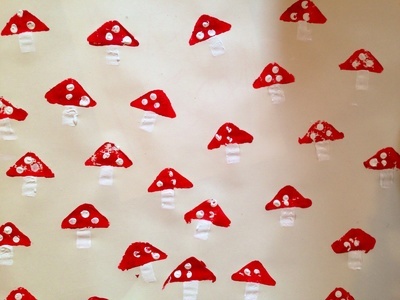 Here's how to make some fun fairy toadstool wrapping paper using a potato print. 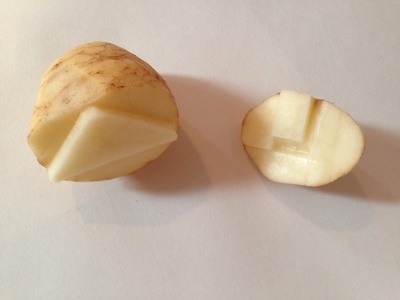 Cut a potato in half. Cut a triangle on one half and a small rectangle on the other half. These make your potato stamps. Squueze some red paint and white paint onto flat plates and spread the paint out. 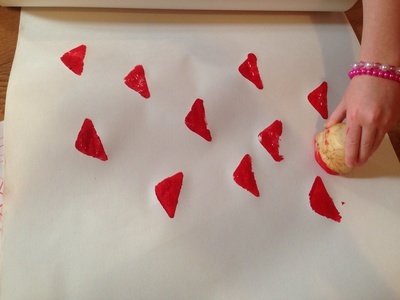 Press the triangle potato stamp into the red paint then stamp onto the paper to give a toadstool cap. 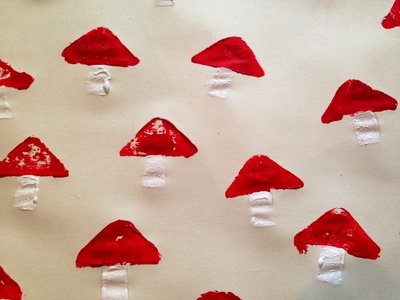 Press into paint again and make lots more red toadstool caps over the paper. 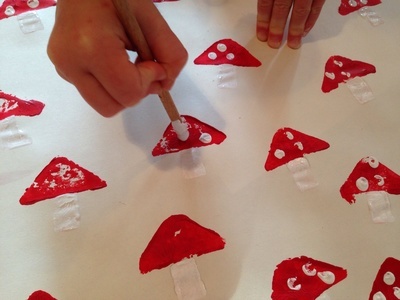 Press the rectangle potato stamp into the white paint then stamp underneath a red triangle to make a toadstool stalk. Dip into paint again and repeat for all the other red triangles. Dip the flat end of a pencil into white paint and use this as a stamp to make the white spots on the toadstools. You could also use fingers and finger paint the spots. 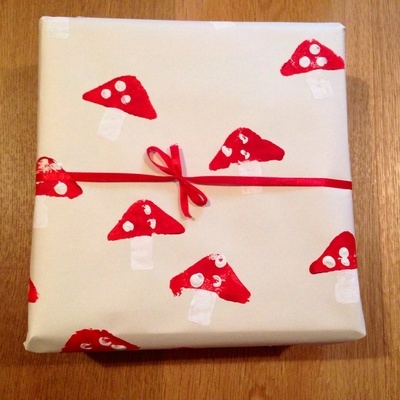 Your wrapping paper is now ready. 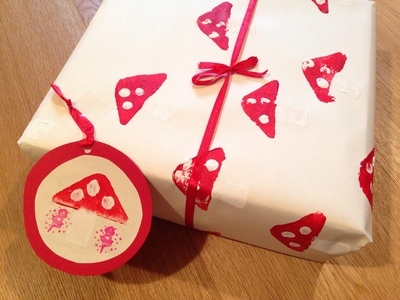 Why not make a matching gift tag? Check out how to make a fairy toadstool birthday card here.